This policy "AS-750-12 Resolution on eLearning Policy." was adopted by the Academic Senate May 29, 2012 and supersedes "AS-581-02 Resolution on Distance Education Policy." eLearning comprises all forms of electronically supported learning and teaching. It is the use of a computer-enabled environment in which students acquire skills and knowledge employing any form of electronic media content delivered on any type of platform. 1) Synchronous Instruction: Instructional activities where both instructor and students are engaging in activities at the same time. 2) Asynchronous Instruction: Instructional activities where the instructor and/or some or all students engage in activities that are not necessarily occurring simultaneously. 1)The degree of computer-mediated faculty/student interaction - Faculty and students can interact face-to-face or in a computer-based virtual space in a scheduled or unscheduled manner. Computer mediated interaction could be mixed (e.g., "hybrid" courses with some traditional classroom lectures supplemented by video conferencing) or it could be complete (e.g., a course in which all faculty /student interaction occurs using a web-based video conference tool). 2) The degree of technology replacement of faculty/student interaction - Technology can have a relatively limited role in course support (e.g., a course uses a small number of pre-recorded video lectures that are posted online) or technology could be used to completely replace faculty/ student interaction (e.g., a web-based, self-paced instructorless course). Cal Poly has adopted the following definitions of traditional and online instruction. 1) Definition of Traditional instruction courses: these are offered in the traditional mode with an instructor holding class sessions where students are expected to be physically present. Traditional instruction is also synchronous, with both instructor and students engaging in activities simultaneously. 2) Definition of Online instruction: this is instruction delivered via an electronic network such as the Internet. 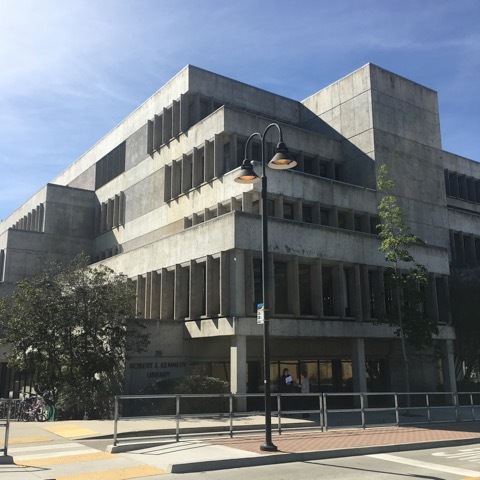 This policy shall apply to all new and existing credit-bearing courses and programs using eLearning technologies, including online courses and programs offered by Cal Poly. Faculty must submit an eLearning Addendum when proposing to offer new or existing courses online. This addendum can be found in the Propose New Course form and the Edit Course form in the online Curriculum Management system. Cal Poly faculty have the collective and exclusive responsibility for determining the pedagogies, instructional methods, and best practices most appropriate for the instructional modules, courses, and academic programs. Whenever a department or faculty group proposes to initiate a degree program in which more than 50% of content is offered online or more than 25 miles off-campus, approval in advance from the Western Association of Schools and Colleges (WASC) is required under the latter's Substantive Change Policy. An eLearning Addendum to either the Propose New Course form or the Edit Course form must be submitted for curricular review for any new or existing courses in which a total of more than 50% of traditional face-to-face instruction time is being replaced with eLearning technologies. 1) A statement of the degree (in percentage terms) of computer-mediated faculty/student interaction contained in the course (e.g., "30% to 50% of faculty/student interaction for this course is via an interactive web-based video connection"). 2) A statement of the degree (in percentage terms) of technology replacement of faculty/student interaction (e.g., "25% of this course is comprised of instructorless self-paced learning modules consisting of web-based video lectures, demonstrations, and automatically-graded quizzes"). Additionally, faculty developing courses that use significant amounts of eLearning technology and faculty participating in curricular review are encouraged to consult the CSU Online Education Whitepaper for a list of assumptions and best practices relevant to the successful development, evaluation, and deployment of online course offerings.